Product prices and availability are accurate as of 2019-04-18 21:57:19 PDT and are subject to change. Any price and availability information displayed on http://www.amazon.com/ at the time of purchase will apply to the purchase of this product. This is my first year growing this heirloom variety from Italy, and I like the results. 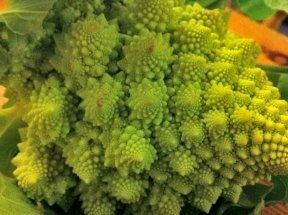 The heads are pinecone-shaped, and contain numerous bright green rosettes.The flavor is nuttier than your typical white cauliflower, and the shape is incredible! Give it a try, you will not be disappointed. Unusual shape and color make it an excellent market variety. 80 Days, Open-Pollinated.